A report in today’s Fremantle Herald raises serious concerns about who actually is in charge at the City of Fremantle. Councilors John Dowson, Josh Wilson and Sam Wainwright all complain about not receiving answers to questions put to the public servants, or get replies to their queries many months later. They are also taken by surprise about decisions made by the bureaucrats. It is unacceptable that our city is not being governed by our elected members but by the unelected CEO and his staff and this should be investigated by the Minister for Local Government urgently. I heard complaints before from councilors who expressed frustration about the lack of urgency of council staff when it comes to implementing decisions made by council. The people of Fremantle elected councilors and mayor to look after our interests, and if they are being slowed down by council staff, those people should be made aware that they need to perform their duties within acceptable time frames set by the council. Performance based salaries for CEO and top management might be a step in the right direction. The constant attacks on the dress habits of Muslim women in letters to the editors and on talkback radio are the voice of intolerance. The “When in Rome, do as the Romans do” argument is a shallow one. If this applied why do thousands of Australians visiting Bali each year totally ignore the culture and habits of the people there, and have those who complain about the Muslims given one thought to the fact that when the English invaded Australia they absolutely ignored and dismissed the culture and tradition of the Aboriginal people who had been living here for many thousands of years? Those who believe people coming here should change should walk the talk themselves. 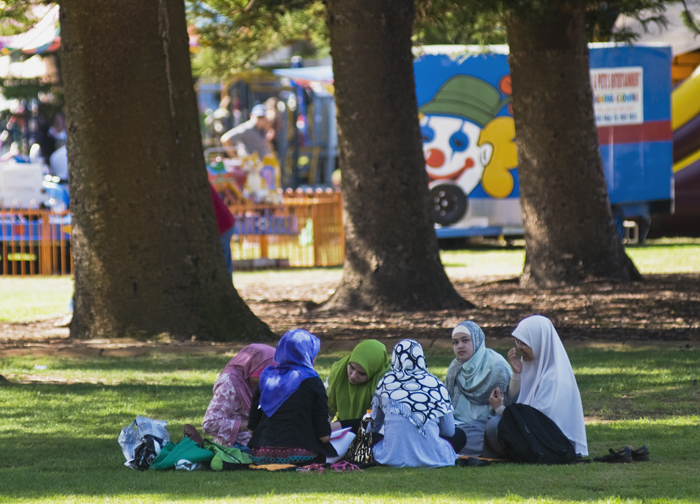 Freedom also means freedom of fashion, and thankfully the elegantly and colourfully dressed Muslim women often stand out in a crowd of overweight women in mini skirts, as I witnessed again on the Fremantle Esplanade on Sunday. The announcement by Mayor Brad Pettitt that the derelict Woolstores building will be made into an artwork is a tiny step towards making this eyesore a Fremantle icon again. It is also pleasing to know the owner, Marilyn New, who also owns the Esplanade Hotel, has been instructed to make sure the building does not deteriorate any further, and the demolition through neglect won’t be allowed to continue. At present the Heritage Act is under review and will be rewritten. I sincerely hope there will be new massive fines for owners who let heritage buildings rot away and new laws that will force owners to maintain those buildings. What we have witnessed with the Woolstores over many years is unacceptable and the owner should hang her head in shame for holding the city at ransom over this. The people of Fremantle, through their elected council, made it very clear to Marilyn New that we do not want a taller building on the site. She should accept that and develop accordingly. The final day of what seemed to be a never ending great Easter long weekend, so here a few more photos of the very well organised and advertised FREMANTLE STREET ART FESTIVAL 2011. It is a special tradition to celebrate ANZAC DAY in Fremantle with the dawn service at Monument Hill, a parade through the inner city, and a ceremony on the Esplanade, after which many of the veterans go to their local clubs, have a drink and a meal and play two-up. Fremantle Ports staff handed out hundreds of flags again this year, which adds colour to festive and reflective mood of the day. Here some photo impressions of the day. Here a few impressions of today’s start of the annual Fremantle Easter weekend STREET ART FESTIVAL. It will go all long weekend for four days, so don’t miss the free fun all over town. Going out in Fremantle can be very frustrating sometimes and today was one of those occasions where one wished one had cooked at home. It’s my young friend Kyle’s 14th birthday and he wanted to go to the Beach Street Cafe, so five of us turned up there at nine o’clock and ordered breakfast. Let’s start with the positive. The pancakes and the French toast were fine and took only 30 minutes to come to the table, but the rest was simply not good enough. The two Big Aussie breakfasts looked awful with totally dehydrated fried eggs and mushrooms that looked artificial and might have been cooked in the microwave or a pot. No one touched them as they tasted strange as well. My first coffee was supposed to be a small macchiato but it was more like a very small flat white. The espresso that came later was a joke. A normal sized cup was filled halfway with brown watery stuff. Unacceptable! If you don’t know how to make coffee don’t run a cafe. All meals were delivered at different times, and one order was wrong, so it was nice to finally get the omelette I had ordered 45 minutes earlier. Maybe it was positive they had forgotten my meal because at least it was all cooked fresh and properly. The overall experience was one of a chaotic kitchen and service, which was a big surprise as the venue has been popular with locals for years. Today however it was not good enough and I won’t return there in a hurry. What exactly would be left for people to enjoy and what is that best we have to offer McNaugh talks about, if we followed his ill-conceived advise? I believe that one of the major attractions for locals and visitors is the beauty of our city, the stunning heritage buildings all over the place and especially in the West End. Without these the best we have to offer would be gone. Not according to Richard McNaught, who probably would offer Coolbellup as a great alternative. Would he also like to get rid of other bits of our heritage, such as old paintings, literature and music, and just replace it with something new? Trash that old stuff, hey Richard. Who cares. 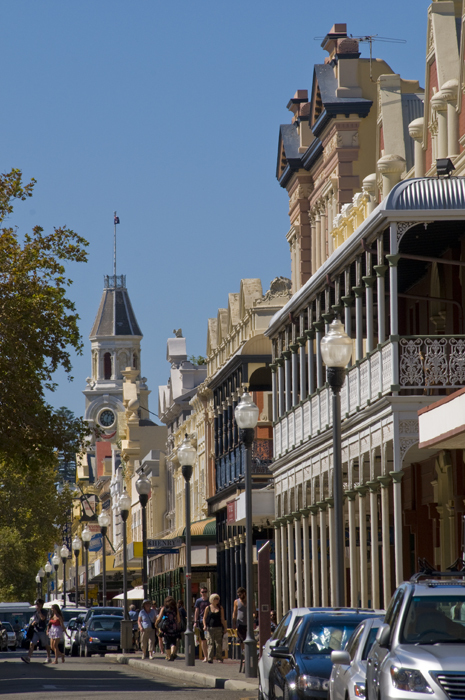 How can anyone not care about the beauty and history of Fremantle, that the old connects us to the new, and that heritage gives us culture and a sense of belonging and identity. I walk most days in wonderment through the West End of town and look at the gorgeous old buildings. I feel privileged that we have the best preserved Edwardian city in the world and that I can live here. It is not Fremantle that is the basket-case, but the writer of this ignorant and extremely stupid letter!